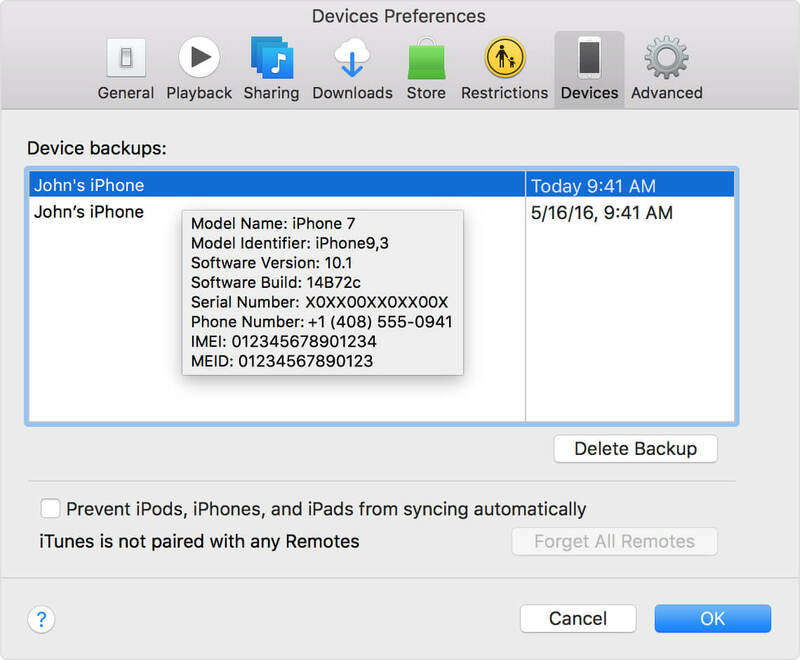 It’s normal that iPhone, iPad or iPod touch backups would eat up huge space on PC or Mac. 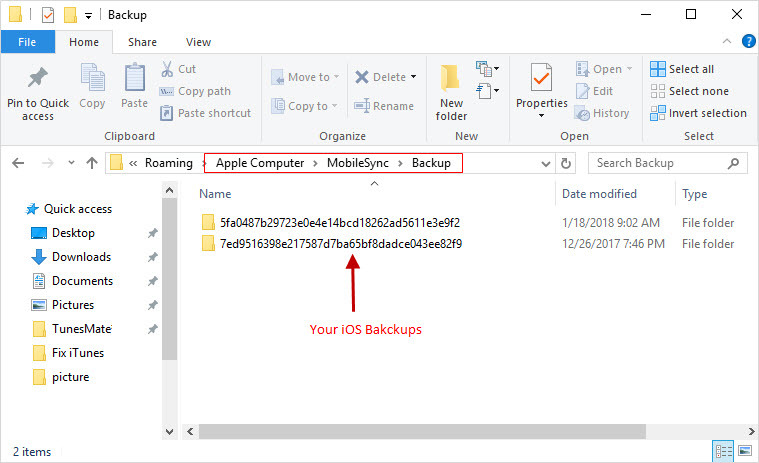 For example, if you have iPhone 64GB with 32 GB space used, when you back up your device on iTunes, the backup will occupy at least 28GB space. Let alone your iPhone is 128Gb or even 256GB. Now, you’ve seen that iTunes backups can eat up a lot of space on your hard disk. But you may not notice that some third-party software would cause backups when you connect your device. This is terrible as you have no idea where the backups locate. Luckily, you can find the solution here, to locate/delete iTunes backups or 3rd-party software backups. Method 4: Why Do We Need to Full Clean iTunes, Not Just Backups? iTunes saves iOS backups in a backup folder, and the location of the backup folder varies by operating system. Hence, you’ll need to follow this guide religiously in other to locate your old iTunes libraries. Extracting, renaming, relocating, or editing your recent backup files may ruin them completely. Step 1: Click the search icon in the menu bar, copy and paste this: ~/Library/Application Support/MobileSync/Backup/. Step 2: A list of your iOS backups will appear, after viewing them, you can press “Return” to exit the page. Step 2: Enter %appdata% in the search bar,, and press Enter. Step 3: Then go to “Apple Computer > MobileSync > Backup”. 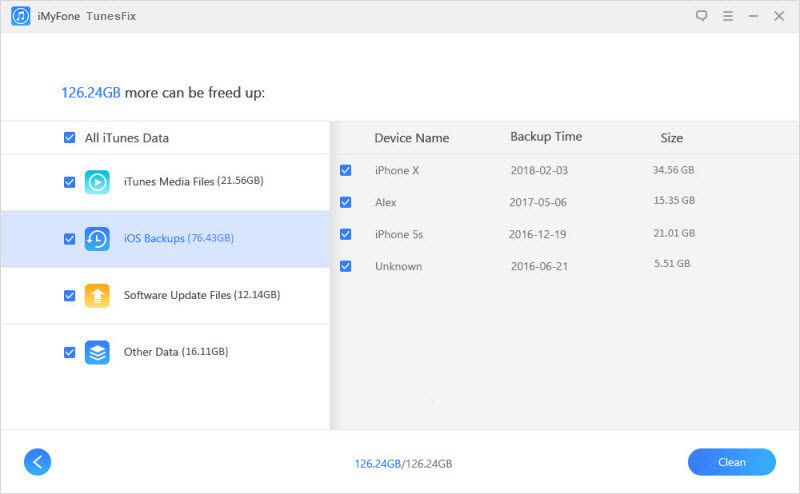 From the name of the backups there, you have no idea the backup is for which device. So if you just want to delete specific backups, it’s not a good way. The manual process of deleting old iTunes backups comes with some major drawbacks. But there is an iTunes cleaner you can use to automatically delete old iPhone backups and other useless iTunes files from your PC/Mac, and this tool is called iMyFone TunesFix. 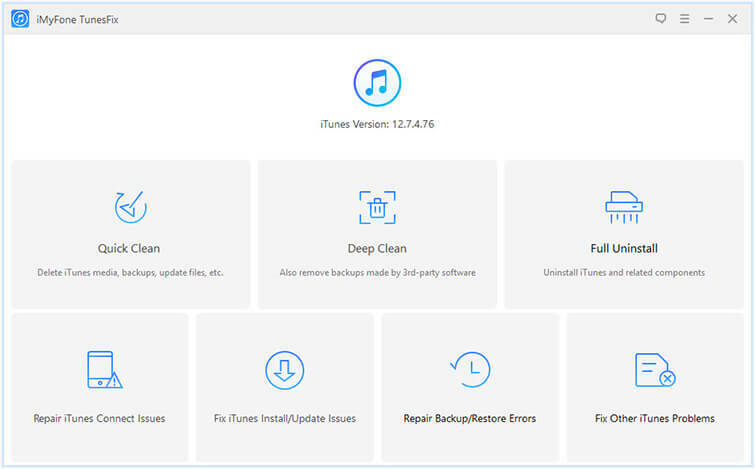 As its name shows, it aims at tuning your iTunes up, not only to keep your iTunes run at optimum, but also to fix any iTunes issues and errors. Quickly remove iOS backups, used software updates and iTunes media files, selectively in bulk or all at a time. Deep cleanup will find and delete the old backups made by third-party software. 1-click to remove all iTunes useless files such as caches, cookies, logs, and junk files to release huge space. You don’t need to learn how to locate iTunes backup files, you just need to determine which to clean; everything will be done automatically. Step 1: Launch iMyFone TunesFix and it will immediately examine your iTunes and its related components. If there is something wrong with your iTunes, it will allow you to fix the damage before proceeding. Step 2: Once you’re in the home interface, click “Quick Clean” and the scanning process will commence. Note: If you want to delete backups which were left by third-party program, correspondingly select “Deep Clean”. Step 3: Once the scanning process is complete, TunesFix will display a window showing you all the iTunes files that are occupying your PC’s hard disk. You can mark the ones you want to erase, and click “Clean” to start erasing them. It will show how much space you’ve reclaimed at the end of the cleaning process. You know where the backups locate from the previous, but it’s hard for you to find the specific backup. In this part, you can access the specific backups and delete the old ones. Step 1: For Mac, go to iTunes > Preferences. For Windows, go to Edit > Preferences. Step 3: Choose the old iTunes backups you would like to delete. You can have the detail of the backup by hovering your cursor over it. Step 4: Click “Delete Backup”, then confirm. The major disadvantage is that this process can only delete backups made by iTunes, but not for backups made by third-party apps. You can’t delete all unwanted backups at once. You need to delete one by one. Why Do We Need to Full Clean iTunes, Not Just Backups? You might understand iOS backups eat up lots of space, but do you notice that iTunes also generates a great amount of useless files? For exmaple, if you set up automatic sync, every time you connect your iPhone, iPad or iPad touch to computer, it creates a fresh backup of your iOS media files. Imagine having a 64GB iPhone 7s plus with 18GB of storage space occupied with media files such as photos, audiobooks, videos, music, documents, apps, games, etc. If you’ve connect this device to PC for 9 times, that simply means that iTunes has created 9 iTunes libraries on your PC, which would occupy approximately 17.2GB of your PC’s hard disk. But what if you have more media? It’s terrible to think it. Then you may always update the iTunes to the latest version or update/restore iOS with iTunes, it will generate software update files. Each iOS version is about 1GB and each iTunes version is at least 200MB. All the updates are left on your computer. Besides, iTunes creates useless files such as logs, cache, cookies, and other junk files when you use iTunes, which not only eats up space but also slow down your iTunes. That’s why you should always clean your iTunes to keep it run at optimum. iMyFone TunesFix gives you one-stop option to clean all these kinds of data in one place. You should have a try.